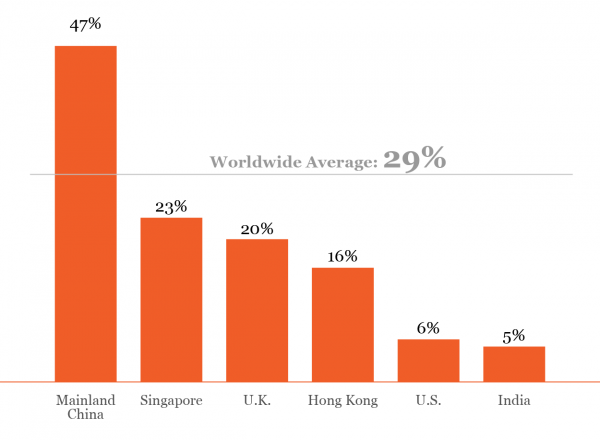 Brief：A recent survey from Barclays shows that 47% of wealthy Chinese would like to emigrate. The response rate for the survey was 29% worldwide. Last year, Chinese millionaires maxed out the quota for EB-5 visas under the U.S.’s Immigrant Investor Program, and recently it was reported that 90% of Australia’s Significant Investor visas were given to Chinese nationals. All over the world, immigrant investor programs are being flooded with applicants from China. 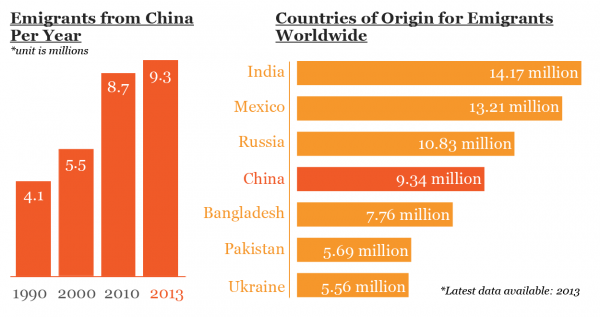 Since 1990, China has gone from being the 7th largest exporter of immigrants to the 4th largest, an increase of more than 125%. Chinese people are emigrating in ever greater numbers, particularly the wealthy. Meanwhile, a recent survey from Barclays shows that 47% of wealthy Chinese would like to emigrate. The response rate for the survey was 29% worldwide. As more Chinese become wealthy, the number of people who want to emigrate is increasing. 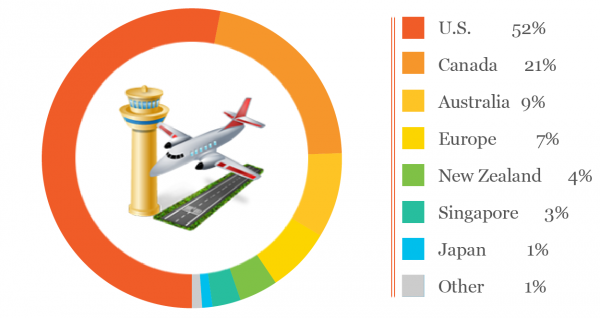 So where do wealthy Chinese want to go? 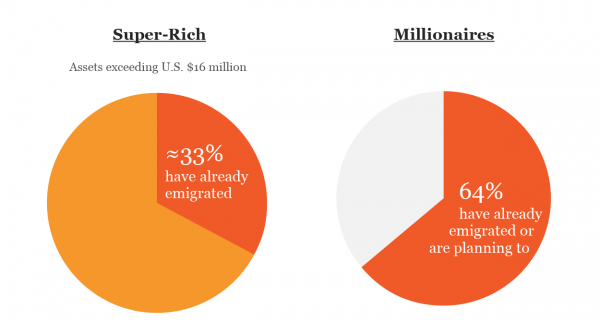 According to the Hurun Report’s “2014 Immigrant Investor White Paper,” the U.S. and Canada are the first choices for wealthy Chinese looking to emigrate. Since most high-net-worth Chinese accumulate their wealth in China, from a business perspective it is advantageous for them to remain close to China. So what is involved in getting an immigrant visa to a foreign country? Note: The U.S. offers a yearly quota of 10,000 visas to foreign nationals who invest at least U.S.$500,000 in commercial enterprises under the EB-5 immigrant investor program. In 2014 the number of applicants for the U.S. immigrant investor program hit an all-time high, and 85% of the applicants were Chinese. This was the first time the yearly quota maxed out, and the U.S. government temporarily ceased accepting applications. A similar situation has arisen in Canada. Over the past few years, the number of applicants from China has exploded, and in February 2014 the Canadian government announced that it will be calling a halt to their Immigrant Investor Plan (IIP) launched in 1986. 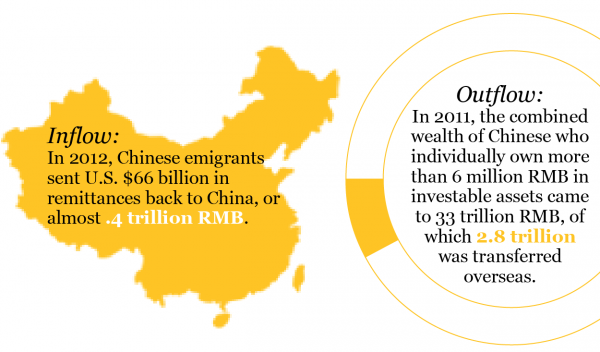 The money that wealthy Chinese invest abroad far exceeds the wealth that they bring back. So what are they investing in, exactly? In addition to getting immigrant visas by buying bonds, wealthy Chinese are particularly enamored of investing in real estate, and are buying up land overseas like mad. 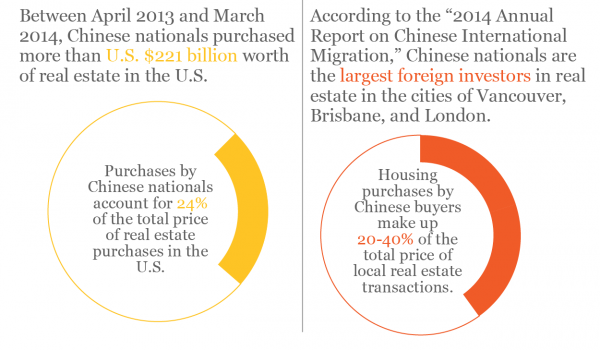 The Chinese are becoming major buyers of real estate in foreign countries.